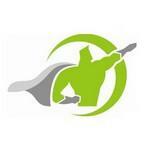 Insurance Hero Toronto is an online insurance brokerage based out of Toronto, ON. They offer a wide spectrum of insurance products for residents in all regions in Ontario. Greg Raymond is Director at Insurance Hero Toronto. Products Carried: Insurance Hero Toronto is an independent insurance brokerage representing Canada's leading insurance companies. Headquartered in Toronto, ON, Insurance Hero Toronto offers Auto Insurance, High Risk Auto Insurance, Collector Car Insurance, and Homeowners Insurance. They also offer Tenant Insurance, Condo Insurance, and Cottage Insurance. Insurance Hero Toronto serves all regions in Ontario.